A new playable character - Weishan - an imperious and incredibly potent heavy fighter who wields a massive guandao in battle. He joins other legendary fighters from all corners of the galaxy: power suit-clad Ashani, gunslinger Raymer, expert sword fighter Zhurong, bounty hunter Kidd, elemental duo Afi & Galu, and the reigning champion Xana. 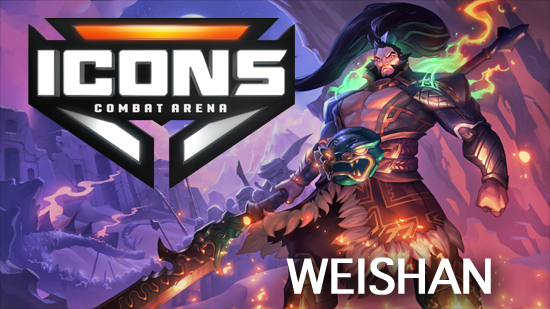 As part of the unveil and addition of Weishan to the closed beta, Wavedash has released a new trailer showcasing him.